IF YOU ARE ORDERING PLEASE NOTE: Peter and Fiona are taking a break between 23rd April and 2nd June 2019 to celebrate their 40th wedding anniversary, so Meerkat Mufflers will not be able to dispatch your order during that time. Your order will be processed after the 3rd June. Any inquiries will be responded to after 3rd June. 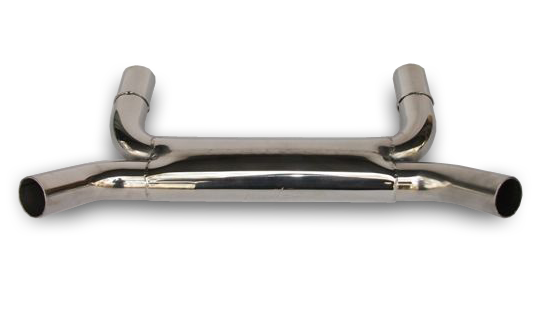 Meerkat Crossover/Bypass Pipe to suit TRIUMPH 1600 & 1700 in mirror finish stainless.